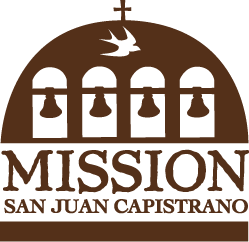 On Wednesday, January 17, Mission San Juan Capistrano welcomes OC Public Libraries for a featured event in honor of the Acjachemen heritage of San Juan Capistrano. Concurrent with the Native American Basket Weavers from 10:00 a.m. – noon, Cultural Director and Ceremonial Leader, Adelia Sandoval will perform songs in the Acjachemen language. Show an OC Public Libraries card and receive free admission to the Mission for this event. Mission Members receive free admission with active membership card. A division of OC Public Libraries, OC Stories is dedicated to celebrating the rich cultural diversity of Orange County’s past and present by documenting the people, businesses, institutions and events of historical significance. OC Stories has developed a featured collection entitled: “Indigenous Voices of San Juan Capistrano: The Acjachemen Community.” Representatives from OC Public Libraries will be present on Wednesday, January 17 to discuss this collection and recent film project. To learn more about this OC Stories project on Acjachemen history, click here. This project was made possible with support from California Humanities, a non-profit partner of the National Endowment for Humanities. Visit http://calhum.org/ for more information. For more information about Acjachemen heritage at Mission San Juan Capistrano, click here.